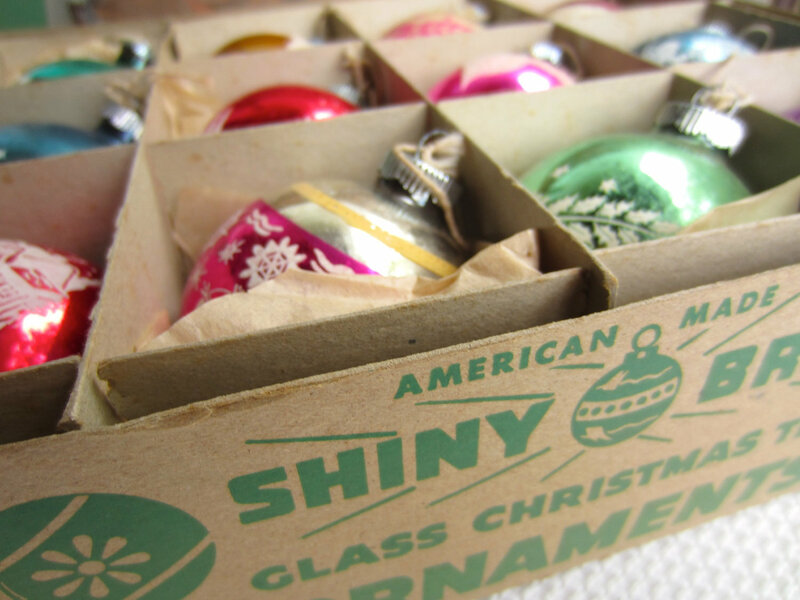 Before World War II, almost all of the glass ornaments on American Christmas trees were imported from Germany. It was a German immigrant, Max Eckardt, who realized that the war could interrupt his Christmas ornament import business. So in 1937, Eckardt and Bill Thompson, a store manager for F. W. Woolworth – who promised to place a huge order, convinced the Corning Glass Company to produce machine-blown glass balls. It was a simple step for Corning to convert a glass ribbon machine, previously used to make light bulbs, to one that now made clear glass ornaments. 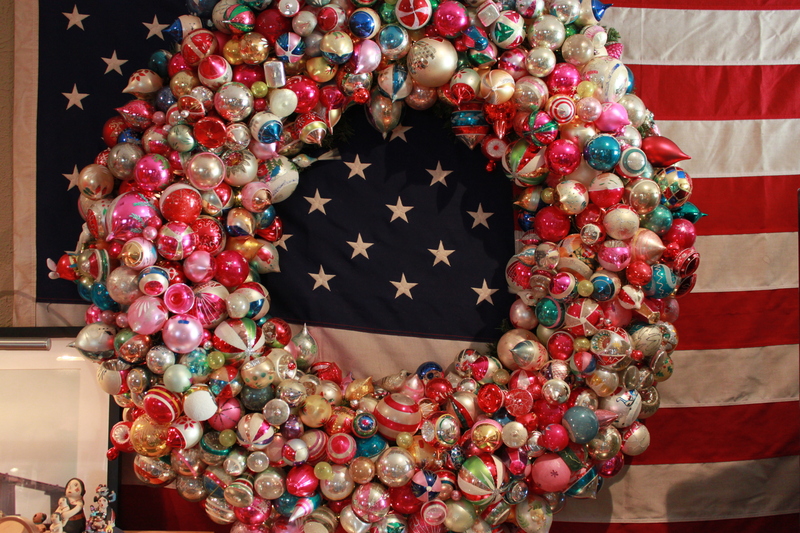 Thompson was true to his word, and in the December of 1939, nearly 250,000 American-made ornaments filled Woolworth’s stores across the country. With a price point of just a few cents each, they were an immediate success with American holiday shoppers. 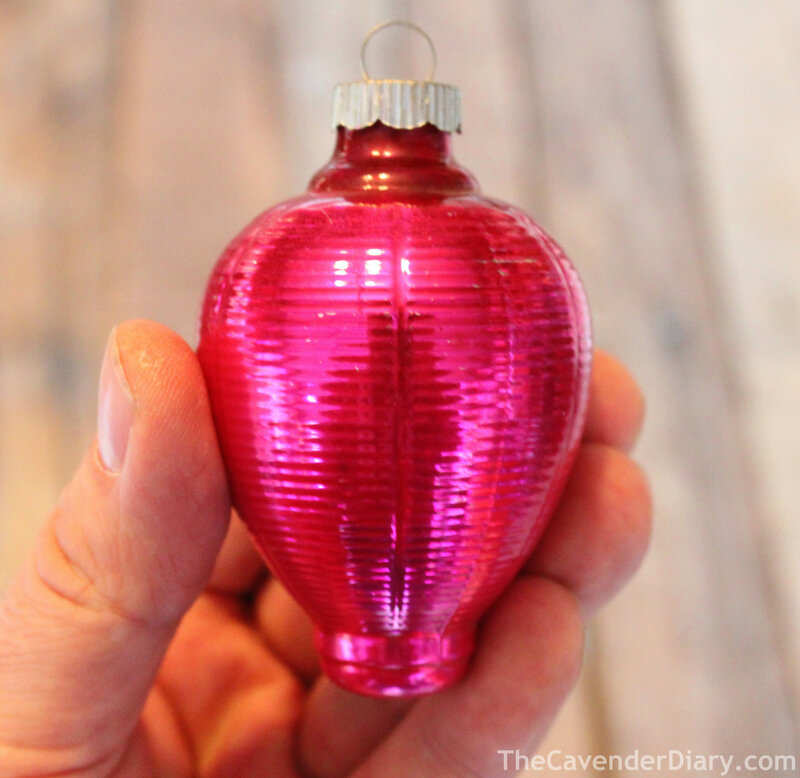 The Corning company didn’t decorate the balls in the beginning, when a majority of their factory production was still light bulbs. The clear globes were shipped in large quantities to Eckardt’s decorating plant in New Jersey. There they were silvered, sprayed inside with silver nitrate, and lacquered to give them a shiny and brite appearance. 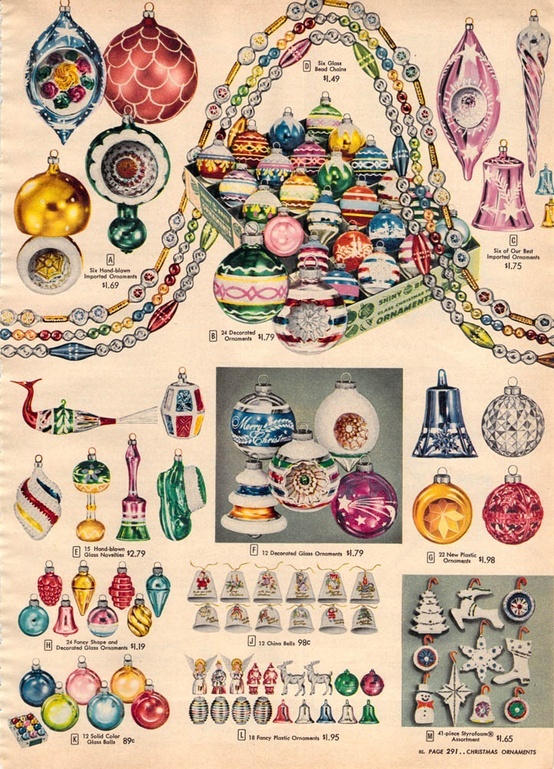 Starting with simple silver, the ornaments were eventually produced in a large variety of colors; classic red (the most popular ornament color in the 1940s), green, gold, and even pink and blue. Any exterior stripes, or sometimes flowers, were painted on by hand. 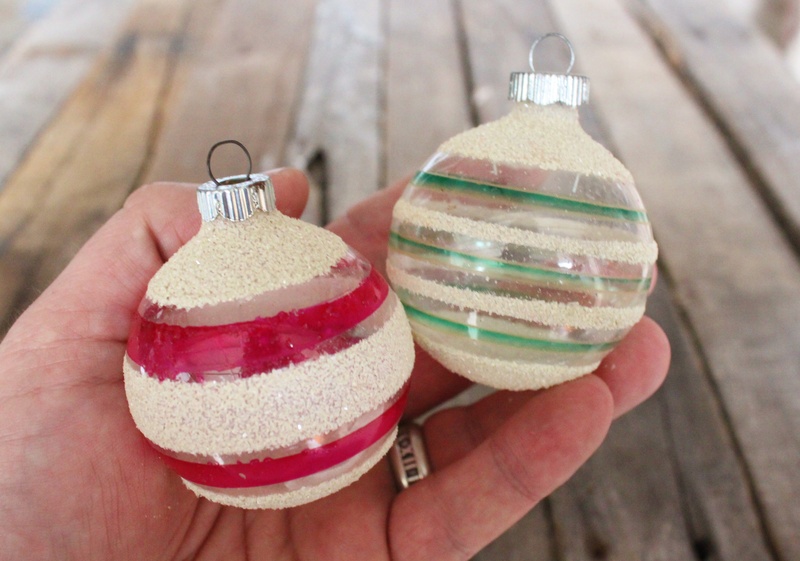 The corning factories produced glass ornaments, or “blanks” as they called them, for several other U.S. Christmas ornament companies too; like Colby and Premier. Because they were all the exact same shapes and sizes it was up to the individual companies to decorate them. Designs could be produced faster with stencils, unlike German and Polish ornaments which were always hand-painted, American Shiny Brites were quickly embellished with icicles, flowers, celestial images, nursery rhymes, nativity scenes and even holiday greetings……. 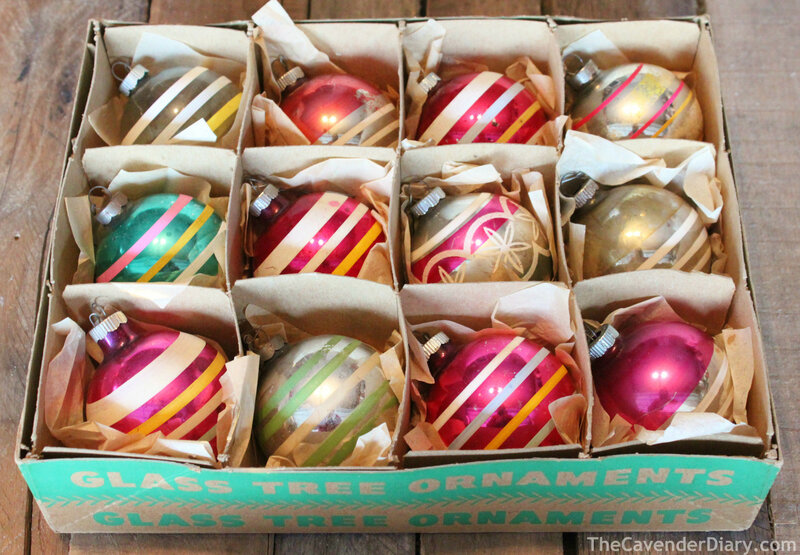 Simple balls were the only ornaments available in 1940, and the following year production jumped to nearly 300,000 ornaments a day. (A typical German glassblower could only produce about 600 a day). 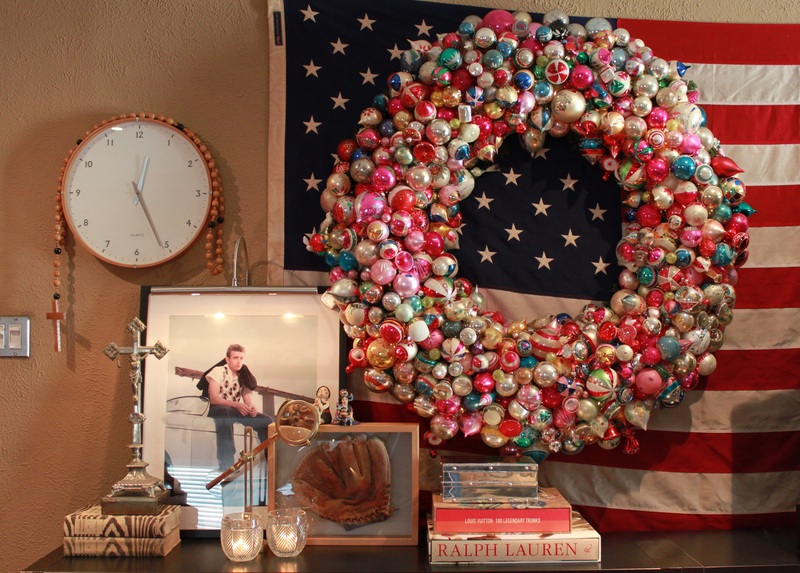 Interestingly, the history of the Shiny Brite ornament was directly impacted by wartime America. During the war, silver nitrate was considered a “nonessential” use of silver and the balls were left clear. Sometimes the glass was tinted colors, or a piece of tinsel inserted, but they usually just had hand-painted stripes on the outside. Metal caps and rings were standard with early Shiny Brites, but during the war, these caps were replaced with a cardboard tab for a string to hang the ornament. 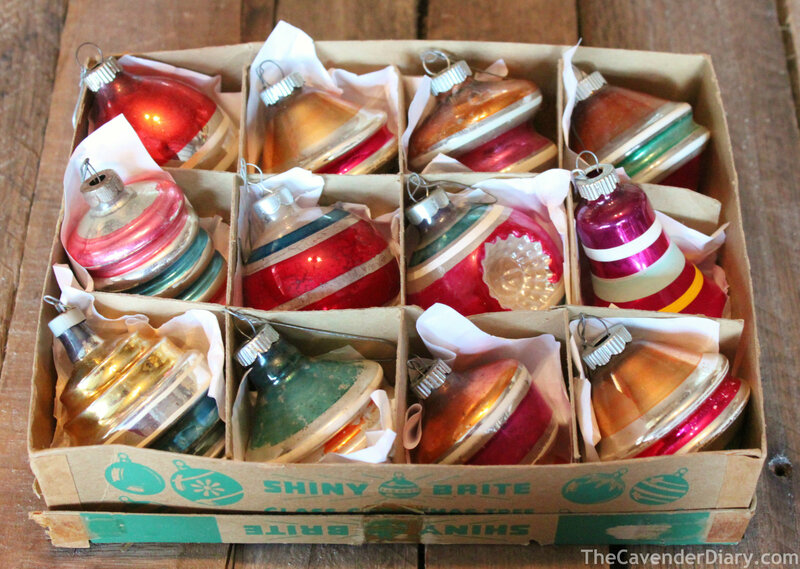 Transparent bulbs with cardboard caps are considered the Holy Grail for vintage Shiny Brite ornament collectors. All un-silvered ornaments aren’t necessarily war-time. The company continued to produce them well into the 1950s. So look for that paper cap to be sure of the age. When the war finally ended in 1945, metal restrictions receded. 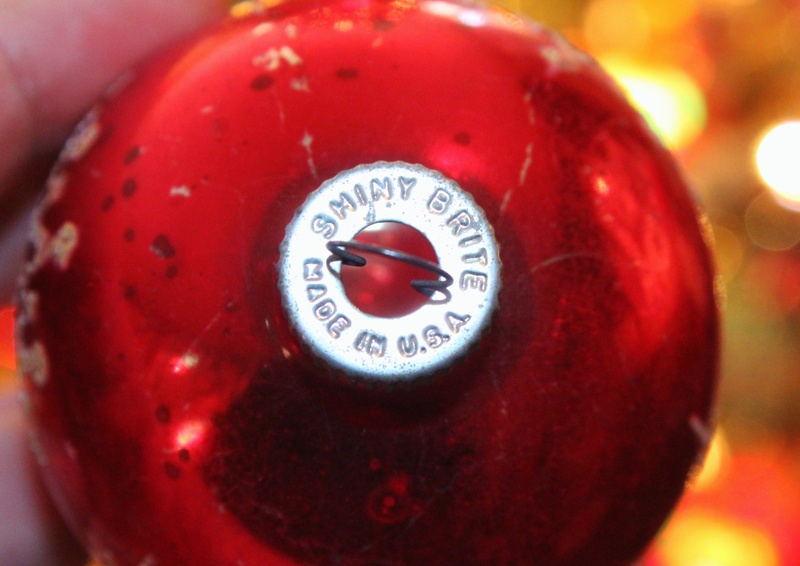 Shiny Brite ornament could be silvered again and topped with the now-iconic crinkled metal cap stamped with the words “Shiny Brite Made in U.S.A.”. 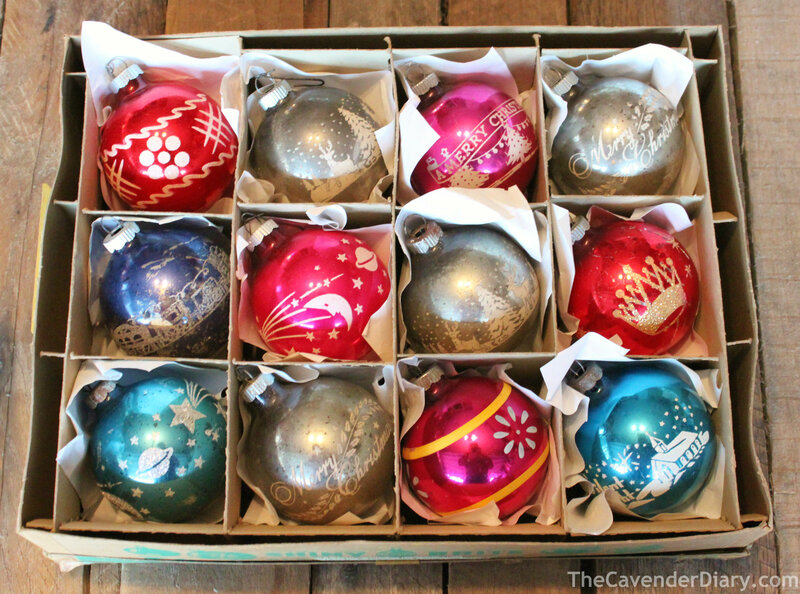 Because they remained affordable for 1950’s families, a boxed set of a dozen sold for about 60 cents, these American-made ornaments flourished. At their peak, they were produced out of four separate New Jersey factories. Here’s a few 1950’s catalog pages with Shiny Brites…….. and a few of their plastic rivals. In the early 60s, the increased popularity of artificial trees seemed to coincide with the need for cheap, unbreakable plastic ornaments to decorate them with. The Shiny Brite company closed its doors in 1962. American Christmas company Poloron bought the Shiny Brite name, and Corning continued to make blanks for them, well into the 1980s. But quality changed. Designs were shrink wrapped onto the balls, neon glitters used, and some ornaments were made of glow in the dark plastic. Many collectors consider this to be the low point of the Shiny Brite name. Mr Radko purchased the name in 1998 and brought the beauty back to Shiny Brites. It’s still VERY likely to find complete boxes of the vintage glass gems at garage/yard sales, but eBay and Etsy are both excellent sources for sourcing them year round…….like I do. Luckily for any collector, Shiny Brites were sold in divided cardboard boxes that held up pretty well over the years. One of my favorite things about the box is the image of Santa shaking hands with Uncle Sam, emphasizing the fact that they were indeed American Made. Just brilliant. I’m pretty certain the German-made ornaments didn’t have that on their box. I’m not really sure when my vintage glass ornament obsession started. I think it was the bag of old glass ornaments that I found at a thrift store about 25 years ago. They looked like aged pastel metals to me. One of them was adorned with a hand-painted log cabin with mica smoke rising from the tiny chimney. …….but I can still pick out that first one I found every year.